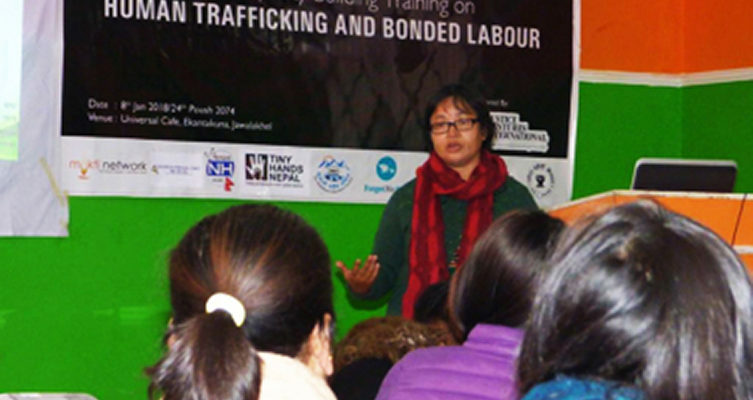 On January 8, one of JVI’s local partners in Nepal convened a legal training on Nepal’s human trafficking laws for NGO’s and faith-based organization. During the training, the participants took an in-depth look at real-life trafficking cases from a victim’s point of view. The presentations covered everything from the initial evidence gathering and relationship-building to the survivor’s aftercare and ensuring offender accountability. Advocates, faith-based leaders, and lawyers from 20 organizations engaged in small group discussions and workshops that examined real-life cases and the myriad of challenges that affect vulnerable communities, victims, and service providers. Based on the positive feedback from participants, JVI and our local partner are currently planning two days of additional training that will further equip the anti-human trafficking community to bring freedom and restoration to men, women and children suffering under extreme oppression in Nepal.